Posted October 22, 2013 by laurielmorrison & filed under Posts about pedagogy, Teaching, The Writing Process, Young Adult Literature. Great post. 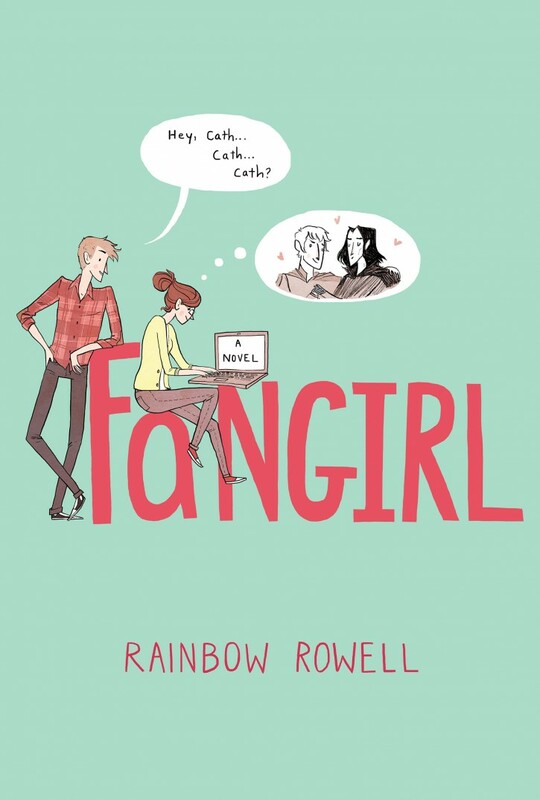 I’m also reading Fangirl–a recommendation from Cori McCarthy and Amy Rose Capetta. Your students are getting great experience in fiction writing. Reading To Kill a Mockingbird is certainy a great start to learning how to produce quality fiction. 🙂 Have any of them tried fanfiction before outside of class assignments? Are they inspired to try their own stories? Sorry for the delayed reply here! A few of them have written fanfiction outside of class, and many post their original writing on sites like Figment. I think sites like Figment, where teens can post completely original stories, respond to prompts, and respond to each other’s work, go a long way toward making creative writing seem fun and playful even though it is difficult! Loved this post, Laurie. Not only did you share wonderful insight into your teaching approach (which I already admire) but you also gave me inspiration. Thank you! I think fanfiction automatically has a negative connotation for some people as “lesser” writing, but I agree with you in that it’s a great way to get into a book and to get into the writing process as well. We all need practice and if starting with someone else’s framework is what gets you going, then that’s fantastic! So true, Shelby, about the negative connotation of fanfiction. Since writing this post, I’ve been thinking that I do need to be clear with students about how and when it is appropriate to start with someone else’s framework, as you put it so nicely. But as a learning tool, I think these kinds of writing tasks are so useful for helping students get into books and the writing process. Mary Oliver talks about mimicking the masters. Art students do it–they’re set in front of a Rembrandt and asked to copy it as best as they can. Brush stroke by brush stroke. Yet when it comes to creative writing–poetry or otherwise–there seems to be an unwritten code that students should write original compositions from the get go. Why? Why not copy others–if we admit we are copying? Why not write characters we already know. Why not grab at the branches that are there? Fantastic post Laurie. I love that analogy about painting, Sandra. Thanks for your thoughts!